The most important factor that must be found first is the gesture. 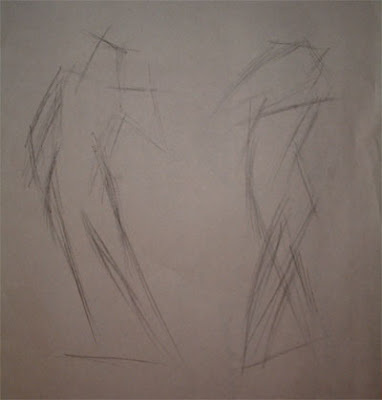 Without a good depiction of the gesture, perfect proportions and detail would not be relevant. You would have a pretty picture but it would look stiff and not realistic. 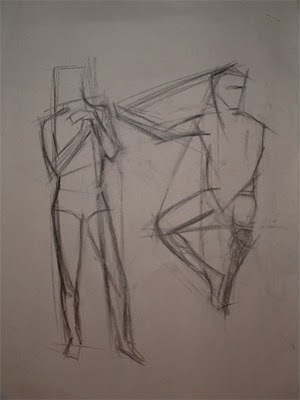 As one can imagine, we work hard at capturing gesture and it isn't easy, at least, not for me at this point! 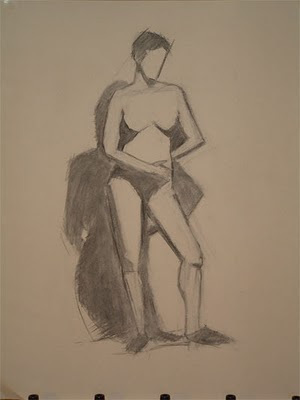 This final pose is in charcoal on Canson Mi Tientes charcoal paper and is the 2 1/2 hour pose. Notice there is still very little detail as at this time I was also working on getting the proportions right. That is still a challenge for me, specially with the human figure. Friday afternoon we were back to construction drawing but now of plaster busts. A challenging and exciting week all around. 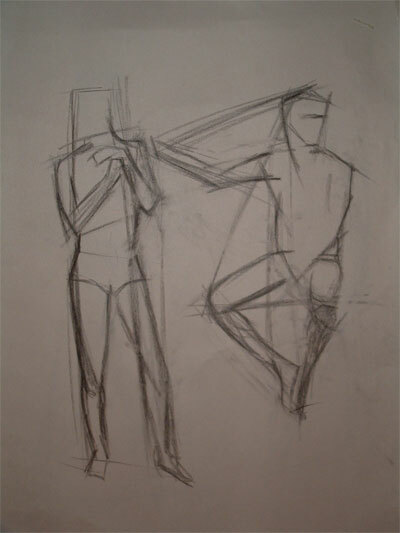 I really do like figure drawing so far. Well yeah! the figure drawing looks hard, but what a nice job. Must be that new easel!